SEOUL, Nov. 2 (Yonhap) — South Korea’s domestic stock funds posted a net money inflow in the middle of the week on the back of a stock market rebound, data showed Friday. Funds reserved for local stocks, excluding exchange-traded funds, registered a net inflow of 39.3 billion won (US$34.7 million) on Wednesday, according to the data from the Korea Financial Investment Association. It was the first net inflow in five business days. The inflow came as the country’s main stock market gathered ground for two straight sessions, following a punishing four-day losing streak. The benchmark Korea Composite Stock Price Index increased 0.74 percent to 2,029.69 on Wednesday, tracking overnight gains on Wall Street. In contrast, overseas equity funds suffered a net outflow of 7.2 billion won, recording such a tally for the second consecutive day. 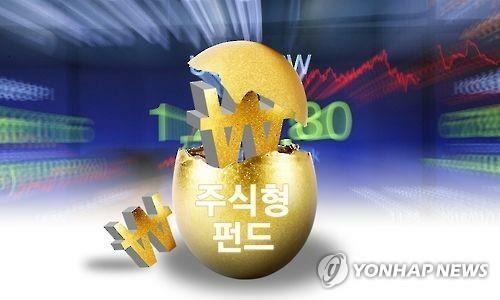 Money market funds (MMFs) also chalked up a net outflow of 2.35 trillion won the same day, with their net assets dropping to 111.3 trillion won. MMFs invest mainly in short-term debt securities, such as Treasury bills and commercial paper.